In addition to facilitating webinar workshops and in-person presentations, Plus Delta’s consultants also regularly share their best practices and leadership insights through shorter video clips. 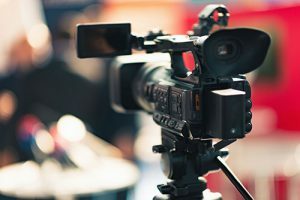 Plus Delta’s President and CEO Dr. Jeremy Lurey, in particular, regularly films these shorter videos to put quick tips and ready-to-use resources directly in the hands of our clients, colleagues, and alliance partners. 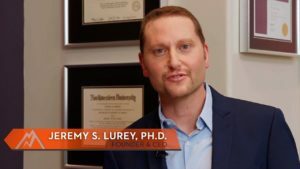 Click on the links below to view some of Dr. Lurey’s most recent videos on leadership and succession planning. You can also visit Plus Delta’s Publications page to read some of his published articles on these topics. Every leader has business challenges and concerns. Learn the various solutions CHIEFEXECcoach can offer to help you address your greatest leadership challenges. Who else can you go to for leadership support? Not your employees, and probably not your Board. 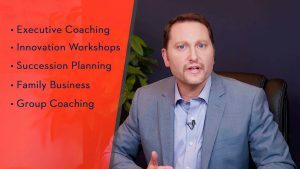 Whether it’s Executive Coaching, Innovation Workshops, Succession Planning, the intricacies of a Family Business, or gaining valuable insights from your peers through our Group Coaching programs, we use our experience and success to provide just what you need. Combining coursework in psychology, communications, human resources, and industrial engineering, CHIEFEXECcoach knows how to work with business leaders in the real world. See how we can help you inspire your leaders to achieve greater discretionary performance with your staff. We’re here to push you out of your comfort zone and get you unstuck, so your business can thrive! Self-awareness of who you are, your natural tendencies, and how others experience you as a leader is critical to being an effective leader. Use the S.O.S. model to determine when your natural style may not produce your intended results and when you might need to adapt to have a more positive effect with those you work with. One of the hardest things we do as leaders is give feedback – and especially constructive (aka negative) feedback – to others. That’s because we often tell ourselves stories about how the other person is going to react and get scared of that negative reaction. If we are genuine and authentic in our approach and deliver the feedback at the right time and in the right circumstances though, then giving feedback can actually be a gift that keeps on giving. These days, everyone is being pulled in so many different directions that they rarely if ever see their direct reports and other team members. So how do you stop “out of sight” from becoming “out of mind” and having employee performance suffer? Follow these simple strategies to be a great remote manager. Not everybody likes change. In fact, most people don’t. They see it as scary or different or perhaps taking away their personal control by changing what they currently do so well. Because of this, organizations often fail to achieve the intended benefits of their change efforts. Learn how to implement change more successfully within your company. As an individual, it’s critical to continually assess how we are doing and what we might want to do differently to produce even better results in the future. As a leader, it’s even more critical to do this with our direct reports and other business partners. Learn how the Stop-Start-Continue approach can help you improve performance and inspire that extra discretionary effort from your employees moving forward. Have you ever conducted a SWOT analysis? SWOT analyses and other approaches like this are based on looking over your shoulder at where you’ve been rather than guiding you based on your ideal future state. 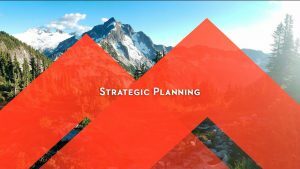 We recommend a proven approach for planning your future from the future, identifying your strategic “lighthouse” goals and then breaking those long-term objectives down into more manageable and achievable micro-goals. Many business owners and leaders have what they think is a great idea and immediately try to implement it. Unfortunately, not all ideas prove to be such great ideas when leaders move forward with their implementation efforts. 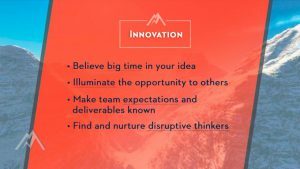 That’s why we created a more complete framework to guide your innovation efforts. How many To Do lists do you have? How often do you get to those lower priority items at the bottom of the list? Maybe more importantly, when do you find time to check your emails and get your work done when you are probably in back-to-back meetings all day/week? If your answer is while multi-tasking during group conference calls, then you need to learn these strategies to manage your priorities more effectively. Transitioning into retirement can be a very personal and emotional process. That’s why it’s critical to have a formal business succession plan in place to guide the process for everyone. 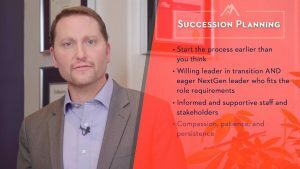 At CHIEFEXECcoach, we provide both the developmental coaching Next-Gen leaders need to step up to the next level and the transition coaching retiring leaders need to successfully shift their management responsibilities to their successors. You’re retiring? Congratulations! You’ve likely had a very successful career filled with many professional accomplishments and accolades. As you consider your very next steps towards retiring and living your “3rd act” in life, there are a number of critical activities you’ll want to start today to prepare yourself, your family, and your organization for a bright and prosperous future “tomorrow”. I’m a big fan of “Take Your Child to Work Day”. I’m even an advocate for creating family-friendly cultures at work and treating everyone like family. What I’m not a fan of is bringing family drama and unproductive relationships into the office. And probably the worst place of all for this dysfunction is the executive boardroom! Learn how to treat your family business like a business and leave your family drama at the door when you go into the office and especially Executive Board meetings. Do you have any idea how rare it is for family businesses to successfully transition from one generation to the next? Just transitioning from one CEO to another in a corporate environment is hard enough. For most family businesses, it’s nearly impossible! 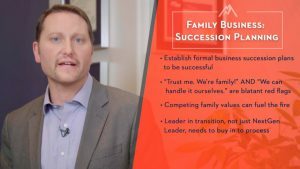 Follow these proven strategies to establish a formal business succession plan and successfully transition your family business from one leader to the next. While it may seem counter-intuitive, group coaching may in fact be better than more traditional one-on-one executive coaching techniques. One-on-one coaching puts the role of “expert” on to the executive coach. There is tremendous power in the group though. When facilitated successfully, group coaching and using a model of peer support can be extremely effective and offer great value to individual leaders. So much time and energy goes into finding top talent and then wooing these rock stars into our companies. Why is it that so little time and energy is devoted to on-boarding these folks once they do accept our offers? 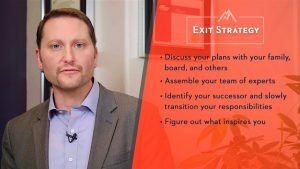 Learn how to on-board your employees properly at this critical juncture to ensure that they are set up for success as they get started. People often think of performance management as that thing they have to do at the end of every year for HR. While that may be an important part of the process, performance management is an always, ongoing activity that is supposed to happen throughout the year. 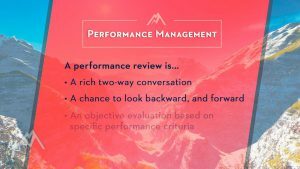 The culmination of the performance management process is the annual performance review. Learn the core components of effective performance reviews and more specifically understand what they are and what they aren’t!